You ma y have noticed a lot of faces around the dental office at your last appointment. Each one of those people has an important job to do to help the office run smoothly. Most of the time their work goes unnoticed. Let’s take a look at who the office staff are and their dental office responsibilities. The dentist is the main person in charge of your care. He or she cares for your mouth and teeth. They deal with a variety of things such as treating cavities and oral diseases, treating injuries involving the mouth, corrective work and repairs, and overall oral health. They get a look at your overall oral health by examining the teeth, mouth and gums. They also use other methods like x-rays to help come up with the best treatment plans for their patients. The dentist may also be in charge of the other staff in the office and will train them accordingly. They may also help with things like hiring employees, marketing, patient records, and finances. The dental assistant is there to help the dentist with whatever they may need. Their duties often include tasks like cleaning rooms between patients, sterilizing instruments, taking impressions and x-rays. They play a big part in assisting the dentist during procedures. They also help the patient by guiding them during their entire dental appointment and will talk them through any questions they may have. Dental assistants can also help with other dental office responsibilities such as setting appointments and answering phones. The dental hygienist may be the person you are most familiar with during your appointment. They are the ones who will clean your teeth. They will talk with you about the condition of your teeth and go over any preventative measures you can take. They will examine your teeth and work closely with the dentist to discuss a treatment plan for you. The office manger is the person who keeps the dental office running smoothly. They have many dental office responsibilities, most of which involve keeping the office running so that the dentist can focus on treating the patients. They handle the office staff and schedules, training, maintain and order supplies, and oversee the offices finances. Sometimes you may not see the office manager at all, but you can be sure that they are very busy keeping the office organized. You may see other staff members working at the front desk or in the back of the office. The front desk will often have a receptionist to handle phone calls, scheduling appointments and patient paperwork. They also have a big job keeping all of the patient information organized. You may also see other staff members like accountants or billing specialists that are responsible for all of the finances and patient billing matters. 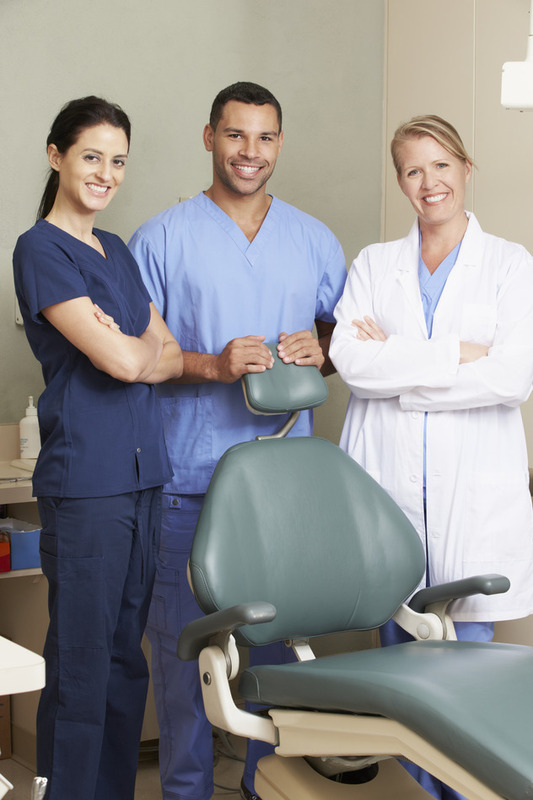 There are many dental office responsibilities that require many people to make it run smoothly. From the dentist to the receptionist and everyone in between, each person has a very different, very important job to do.